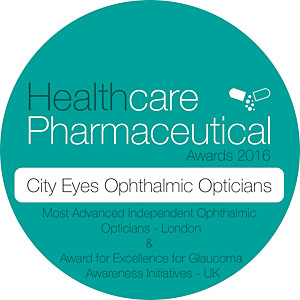 City Eyes Ophthalmic Opticians provide contact lens solutions for all types of lenses available. Contact lens wearers are reminded of the importance of regular maintenance of their lenses. The information below provides an outline of the procedures that should be followed. More in depth information on lens care is available – simply contact us. Allergy Desensitization Eye Drops – OK with Contacts Natural Ophthalmics allergy eye drops stop allergy symptoms such as itching, burning, watering, edema and general ocular sensitivity. The drops are sterile, non-preserved, pH balanced, isotonic solution containing four homeopathic active ingredients. Treatment: Allergy is a chronic condition expressed as the body’s over-activity in triggering and carrying out the inflammation cascade leading to the symptoms of itching, burning, watering and redness. Note that suppressing symptoms with steroids, mast cell stabilizers and antihistamines hinders the same processes which the body uses to fight bacteria and viruses. They also have the risk of adverse reactions/drug interactions, and should be utilized after desensitisation drops have been tried. Natural Ophthalmics drops contain micro-dilutions of ingredients which are known to cause allergy if ingested in large (toxic) doses. The body reacts by desensitisation – itching, burning, watering and redness is quickly alleviated. Women’s Dry Eye from Natural Ophthalmics are unique eye drops which stimulate the production of all three tear film layers, while supporting the health of the cornea, conjunctiva, and eye lid. Created specifically for women, as women experience more dry eye symptoms due to hormonal fluctuations, the two most commonly prescribed ingredients for these symptoms are included in the formula. Find out more about Women’s Dry Eye Syndrome here. Ingestion of nutrients by oral absorption increases the level of uptake to as high as 90% versus 18% for intestinal absorption of tablets. For example, a patient would have to take 60 mg. of Lutein by tablet to equal the amount absorbed by oral spray. This spray contains the most important and the highest quality ingredients for difficult conditions such as: Macular Degeneration, Dry Eyes, Floaters, Glaucoma or Cataract. Suitable for patients with digestive problems or deficiencies such as reduced beneficial bacteria from antibiotics or those who have difficulty swallowing capsules. As many people age, they lose the facility and ability to synthesise Meso-Zeaxanthin , a very powerful anti-oxidant that enables the filtration of a wide range of blue light. Meso-Z is not found in the day to day diet of most individuals. It is usually produced in the body from Lutein. The need for a food supplement that contains Meso-Z is of paramount importance, and Macushield which contains Lutein, Zeaxanthin and Meso-Zeaxanthin, the three important macular pigments has been proven to be very effective in some cases of macular degeneration. Lubricating or re-wetting drops are helpful if you sleep in your contact lenses, or your job requires a lot of close VDU work. These eyedrops can be used with your contact lenses in your eyes. Look for brands that indicate they can be used with contact lenses. All in one solutions are cleaning, rinsing and disinfecting all in one. These are ideal for use with disposable contacts or planned replacement contacts. They can also be used with soft daily and extended wear, but you will probably have to replace your lenses more often. Hydrogen Peroxide Systems are best used with soft lenses that are not going to be replaced frequently. Consult your eye doctor for the brand that is best for the type of soft contact lens you wear. It is best not to mix and match contact lens solutions, especially when chemical disinfection is required. If you see a brand you would like to try, call your eye doctor’s office and find out how you should switch. Many contact lens wearers can have an allergic reaction to some of the preservatives and chemicals used in the solutions. If you have any symptoms like itching, burning or redness you should discontinue use and contact your eye doctor’s office. Preservative free solutions are available for those with sensitive eyes. The revolutionary Ortho K Overnight Lens system. Correct your vision without the need for surgery!